QLD: Q&A Can We Have Front Door Mat in the Foyer? You are here: Home / Maintenance & Common Property / Maintenance & Common Property QLD / QLD: Q&A Can We Have Front Door Mat in the Foyer? This Q&A about whether lot owners are allowed to have a front door mat in their foyer has been answered by Peter Hunt, Mathews Hunt Legal. Question: What are the regulations regarding front doormats in the hallway / foyer outside of our door? We have been told nothing is allowed in the hallway. What are the regulations regarding front door mats outside our unit in QLD? We have been informed that NOTHING is allowed in hallways in our building. On visiting friends in other complexes, we note they have a small mat outside of the door to their unit. We live near the sea, so it would be good to be able to wipe our feet and get the sand off before entering our unit. Answer: If there is no by-law preventing a doormat, then the approval of the Body Corporate is not required under the Act. Whether an owner or occupier can place a doormat outside the entry to their lot will largely depend on the by-laws. However, if the by-laws require committee approval for an item to be placed on common property, then the owner or occupier must obtain that approval. breach any other by-laws, e.g. lawful use of common property by another person. Therefore we recommend that you review your Scheme’s by-laws and depending on what they contain, seek advice from your Body Corporate Manager or legal adviser where necessary. 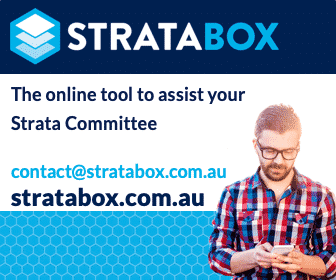 Visit our Strata By-Laws and Legislation, Maintenance and Common Property OR Strata Legislation Queensland pages. Do you have a front door mat in your foyer? Is it in your bylaws, or did you need to ask approval? If you have a question or something to add to the article, pleave a comment below. The other issue is the degradation of the path of travel i,e. min.1m clear unobstructed passage width. Also in need of consideration are the material indices as Vincent defined from the NCC/BCA and the other issue is access for the mobility impaired under AS1428, etc. re changes of levels, materials. One of the prime consideration is could the mat be considered a trip hazard and if so, who is deemed liable. I would suggest that any OC needs to amend their by-laws if this is not already covered. There are requirements in the NCC for combustibility in the common areas. Under Specification C1.10 of the NCC, floor coverings need to have a Critical Radiant Flux of not less than 2.2 (if the building is not sprinkler protected). I’d recommend obtaining the specifications of the door mat before approving this. Most door mats won’t have this detail so would be difficult to approve.